Have you seen the DIY cake/dessert stands made from a candle holder and a plate? They are so easy! Get yourself a candle holder, a plate and adhesive (I used E6000) and you’re good to go. I’ve been wanting to make one of these since last Christmas when I was thinking about handmade gifts. 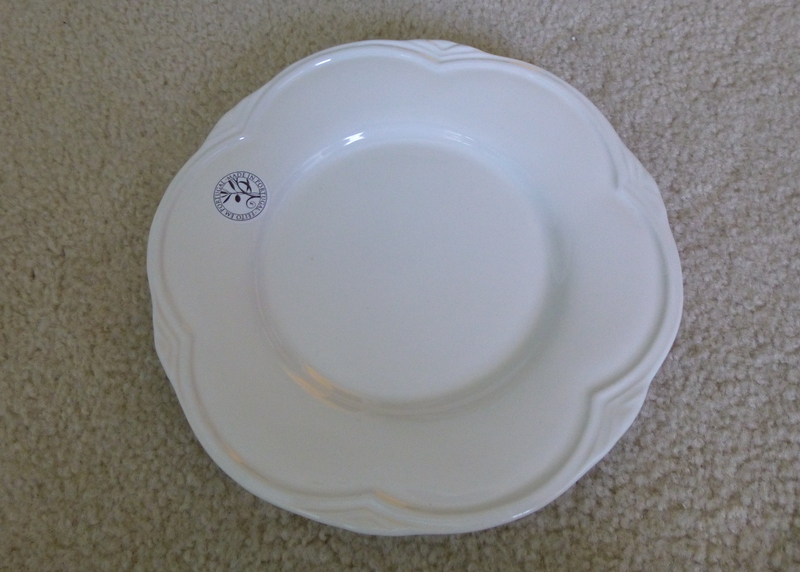 I never did make any last year, but I just found a rogue candle holder I picked up from Target quite some time ago and while I was at HomeGoods this week, I picked up an inexpensive plate. I probably spent less than $9.00 total. Not too shabby! 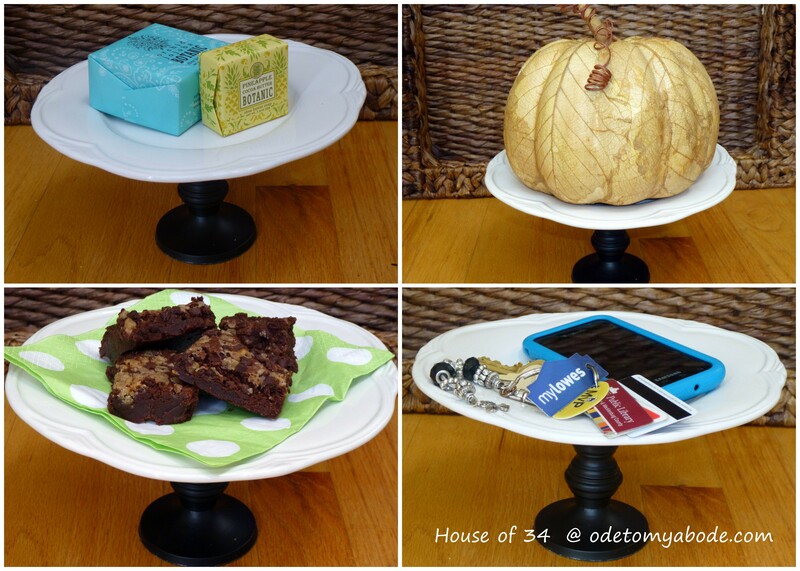 The multi-purpose cake stand… Soap dish, Holiday decorations, Dessert stand, Keeper of keys, phone, glasses, etc. Posted in DIY Decor, SOS (tutorials) and tagged Cake stand, Candlestick, Christmas, Dessert stand, DIY, DIY blog, Gift Ideas, handmade, Handmade gifts, Holiday, home decor, home decorating, HomeGoods, soap, Thanksgiving. Bookmark the permalink. Having threes bookcases to fill for my new Library/Office was a little more overwhelming than I thought it would be. 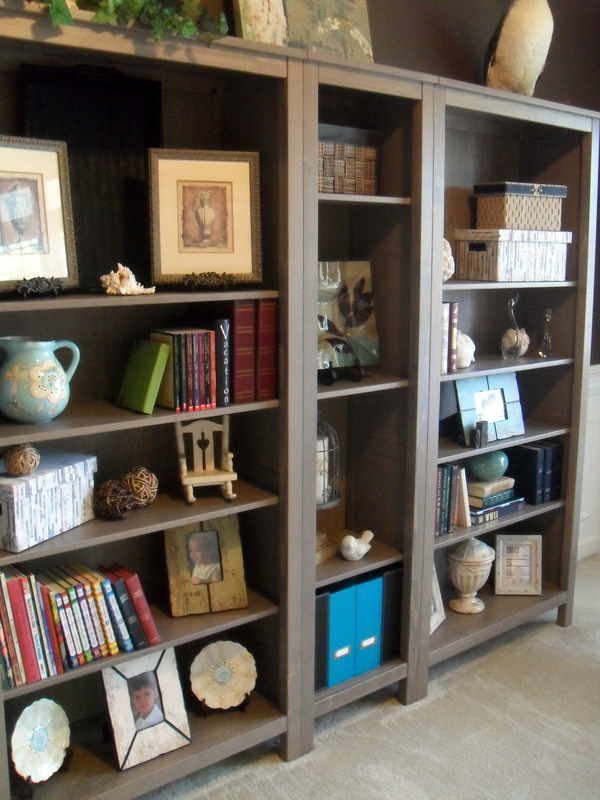 I looked for some inspiration for accessorizing bookcases and came up with the resources/pictures below. I literally pulled out all my knick knacks, went through all my books, including my children’s books, and grabbed anything and everything off all the shelves and on top of cabinets to use in the bookcases. Of course I went shopping at HomeGoods and Kirklands too! : ) It took a couple of days of playing and reorganizing to come up with the look I wanted. But it was fun! Posted in DIY (you can do it!) and tagged accessori, Book, Bookcase, Dining room, DIY, home decor, home decorating, home office, HomeGoods, library, Office, organizing, Shopping. Bookmark the permalink. I’m almost finished redoing my “dining room that’s not a dining room”. Let’s call it my new Library/Office. Over the weekend I finished the drapes and got them hung. I have to give a shout out to my favorite local fabric store, Tony’s Fabrics, for coming through and finding more fabric for me. Panic set in when I finally decided on the fabric for my drapes and they didn’t have enough to make two. That old saying “you snooze you lose” applied to me big time! I don’t know if it was the tears in my eyes, the pouty lip or the kindness of their hearts, but they found more fabric and special ordered it for me. I LOVE THAT STORE! And the staff is generously helpful, offering tips and advice. Always a great thing when you don’t know the quantity you need to buy, or even the type of fabric you need to use for a particular project. 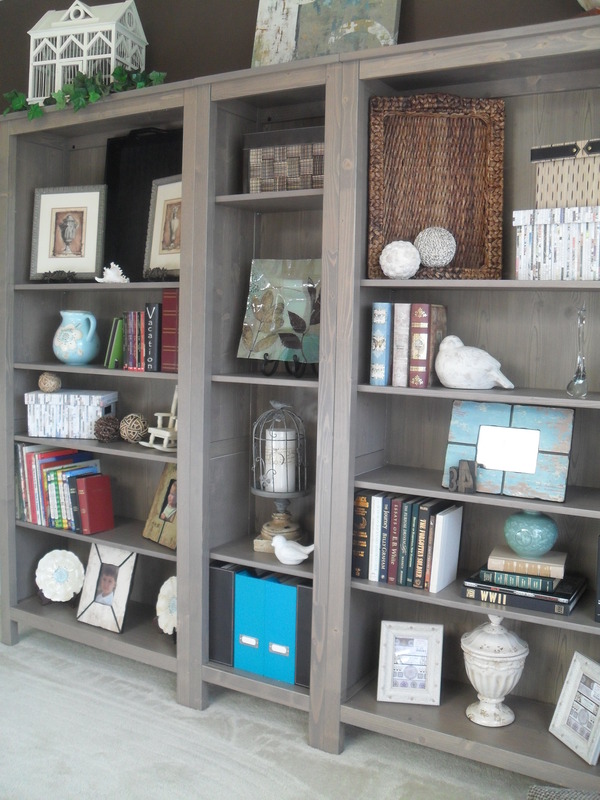 The bookcases came from Ikea. I love them! The difference they alone make in the room is huge. They are from Ikea HEMNES series. The chairs came from HomeGoods (of course!). I only bought two, but I’m thinking of picking up two more, or maybe coordinating chairs. I’m not a matchy matchy kind of girl. 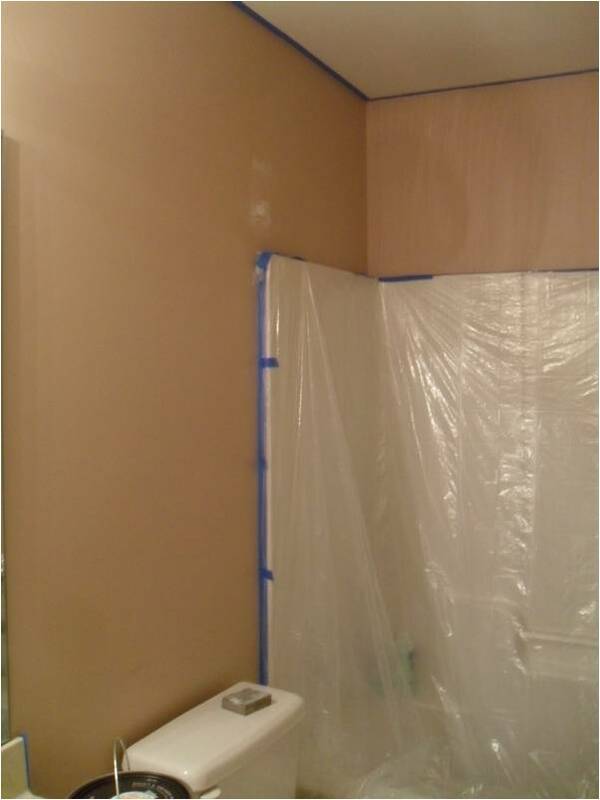 The paint color is a rich brown called Sierra Spruce from Benjamin Moore. The room is almost complete. I’m looking for a round table to add to the room. I’m thinking of making one actually. But I’m having a really hard time finding an unfinished wood round table top. No luck at Lowes or Home Depot. ; ( Any suggestions?? Still need some artwork on the walls. I will post more pictures when the room is complete. 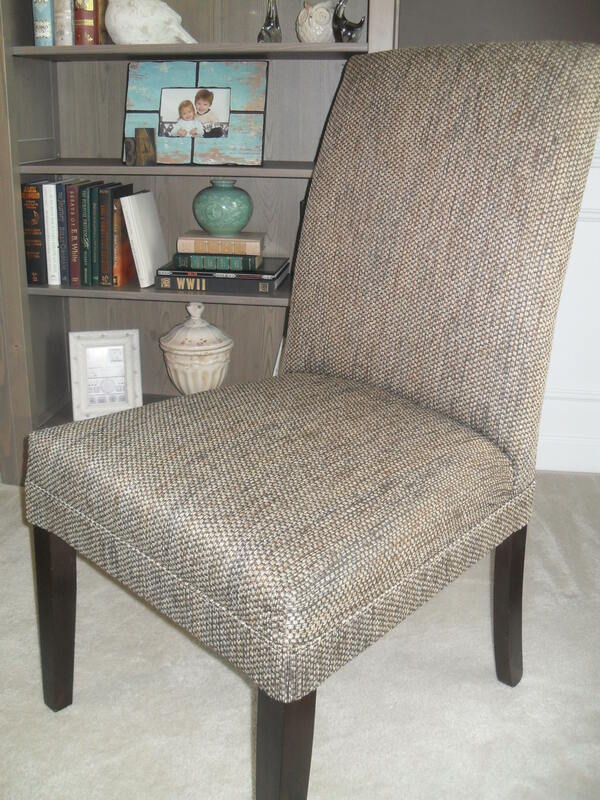 Parsons chairs from HomeGoods. $99.00 each. 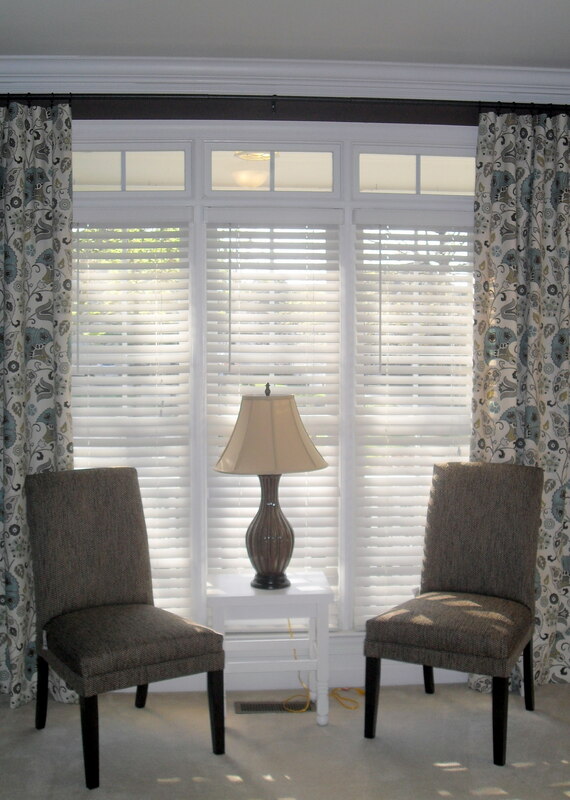 Drapes are finally made! Woohoo!! Posted in DIY (you can do it!) and tagged Blog, book shelves, Bookcase, chairs, Dining room, Drapes, Fabric, furniture, home office, HomeGoods, Ikea, library, LOWES, Office, Textile, Tony's Fabrics. Bookmark the permalink. 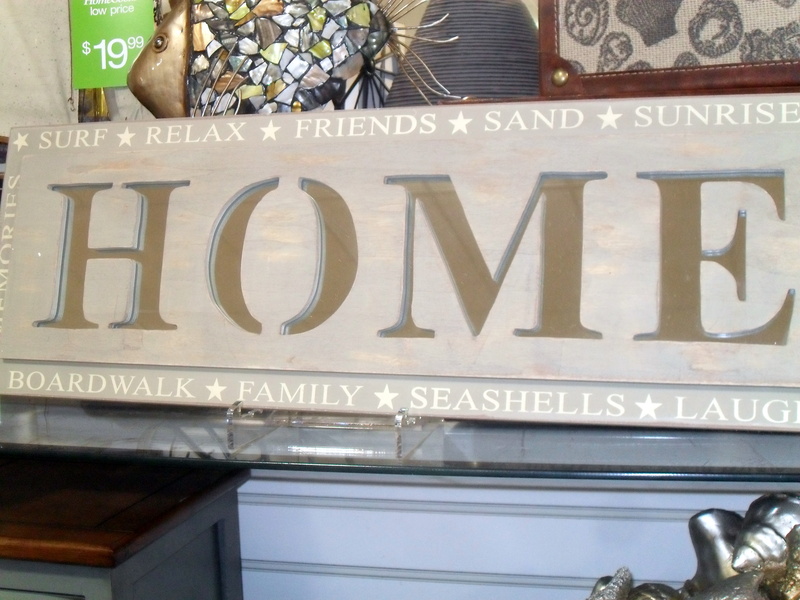 I love HomeGoods! It’s a hit or miss kind of store. Sometimes you don’t see anything you must have, other times you could redo your whole house with all the fabulous finds. Today BFF and I popped in and wandered around. 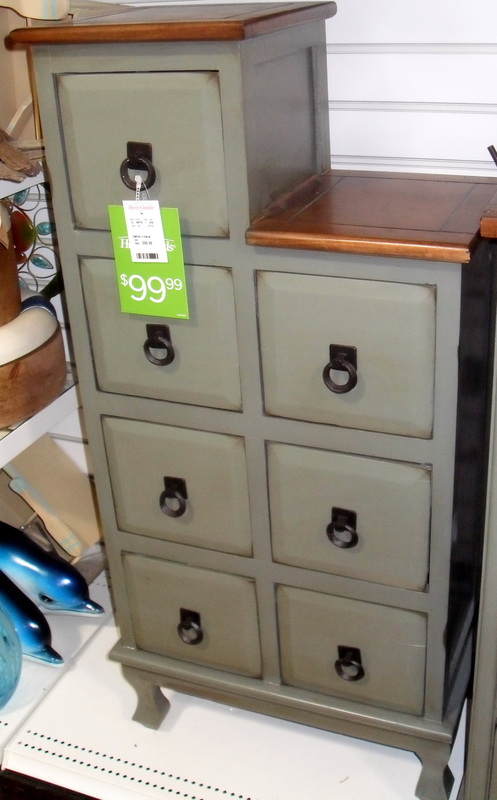 We were looking for cute storage bins for my new and improved laundry room. Their basket section was a little slim, but their small furniture and accessories section was AWESOME! Why is it when you don’t need anything, that’s when you see the most cool and groovy stuff? I don’t know either. Maybe there’s a lesson in self-control, or understanding what you want isn’t always what you need. But LOOK! They are some great storage pieces. 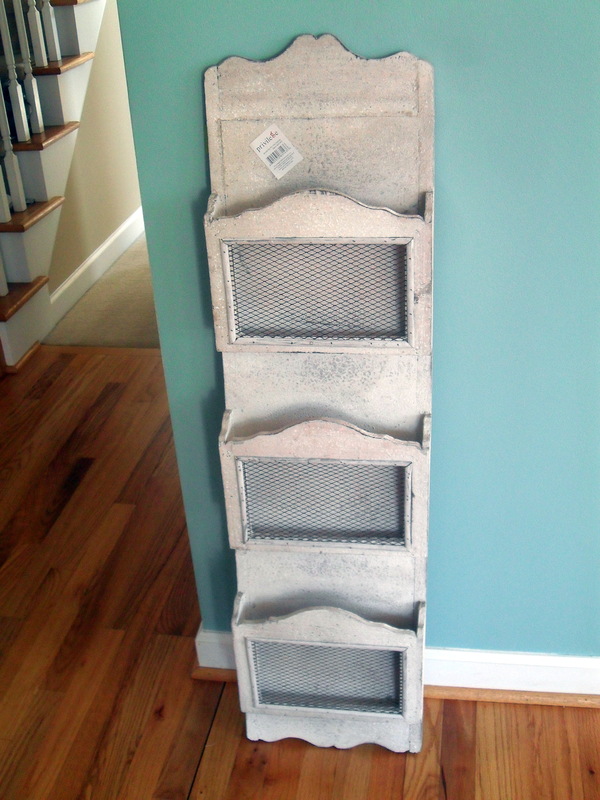 Not what I need for the laundry room, but they would look adorable somewhere. 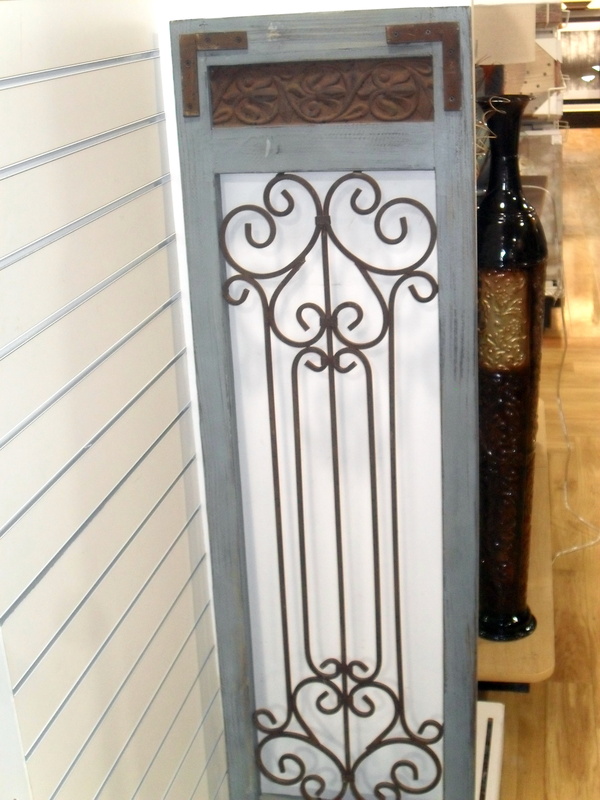 This would be lovely in my sewing room! A girl can never have enough storage for crafts. This is just cute. The picture doesn’t do it justice. 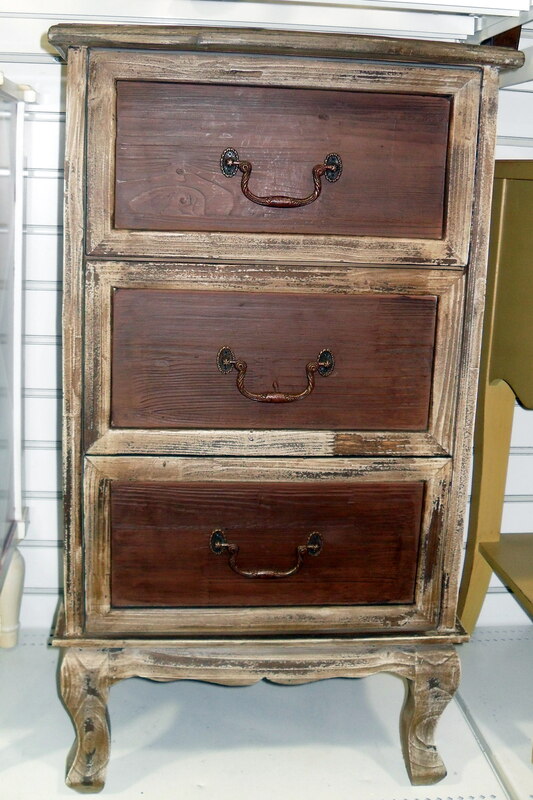 A great bedside table piece. 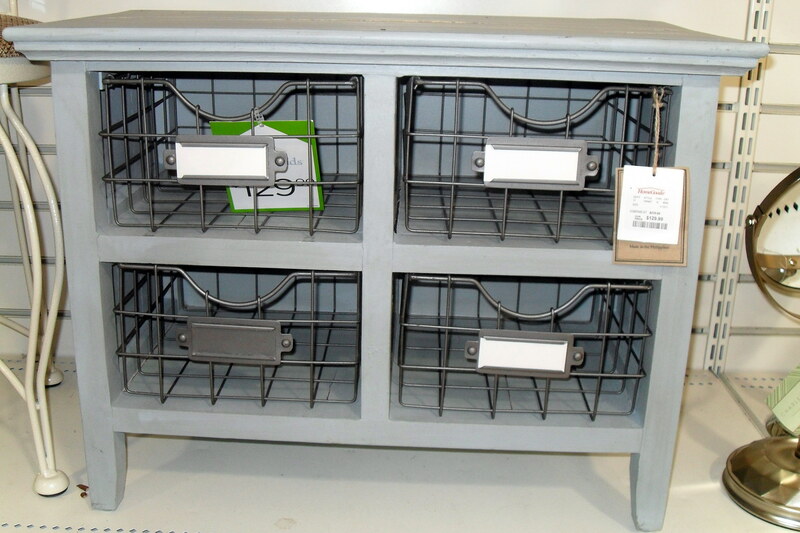 This would be cute in a playroom for toys or in a guest room for towels and blankets. 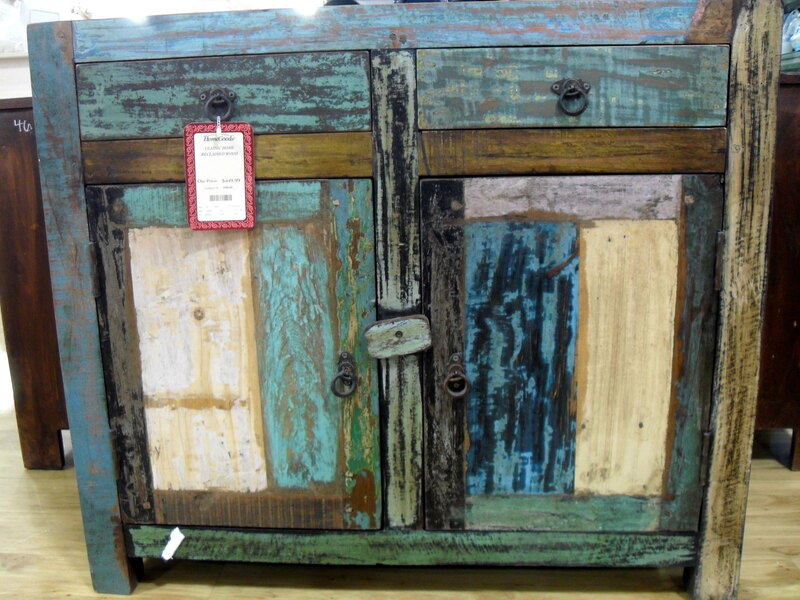 I didn’t open this to look inside, but I loved the distressed, pieced together look. This reminded me of a couple of people I know. BFF picked this up. 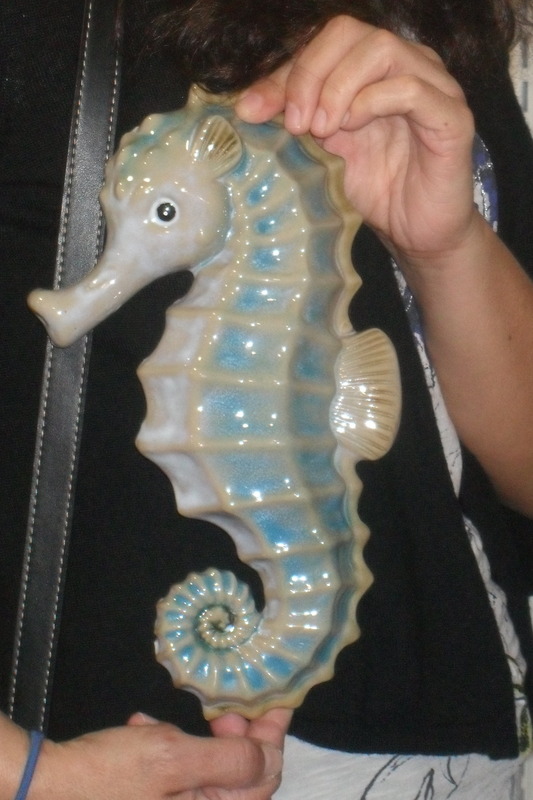 It would look great in a powder room. Look at that cute face! Ok, something did make it home with me. This is going up by the wall phone in the kitchen. Maybe I will be a little more organized with all the kids papers that come home from school. I always tease that it takes a village to keep me organized. Forget the village. Maybe I just need this?! Posted in FYI (ideas & info) and tagged DIY, dressers, furniture, Home and Garden, HomeGoods, Shopping, Thoughts and Inspirations. Bookmark the permalink. 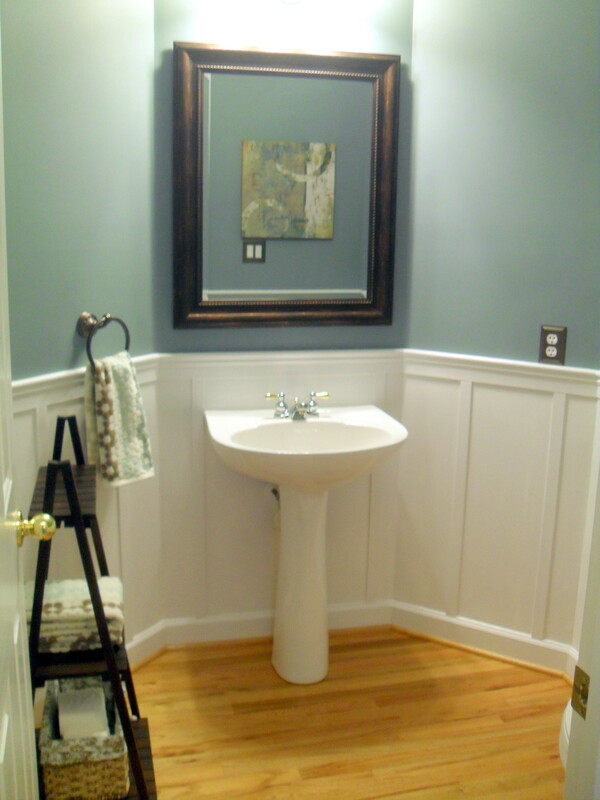 The powder room is finished. WooHoo!! I’ve said it before and I’ll say it again… paint can change your world! The room was very easy to do. 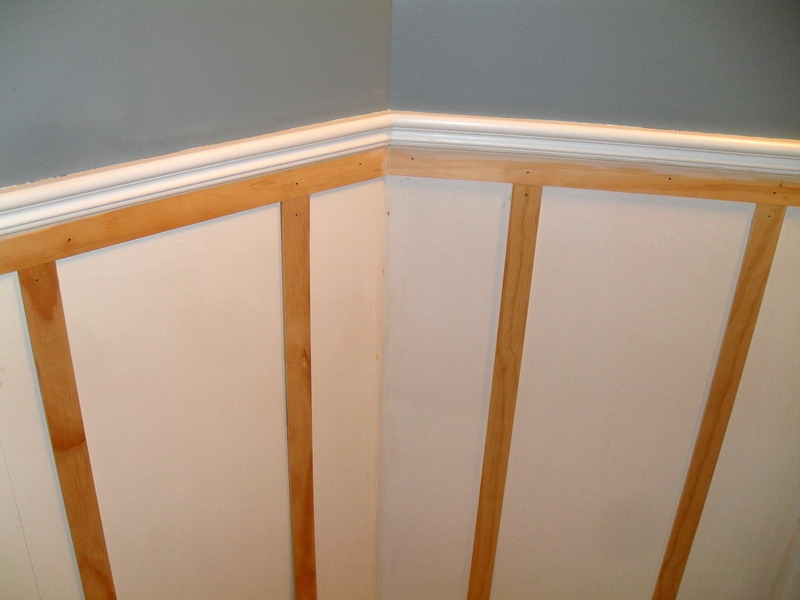 Some paint, lattice strips to create the board and batten, and patience is all you need. The paint came from HomeDepot. I love this paint. It has primer in it and it actually covered the red in the first coat. (But I always do two coats.) It was wonderful. 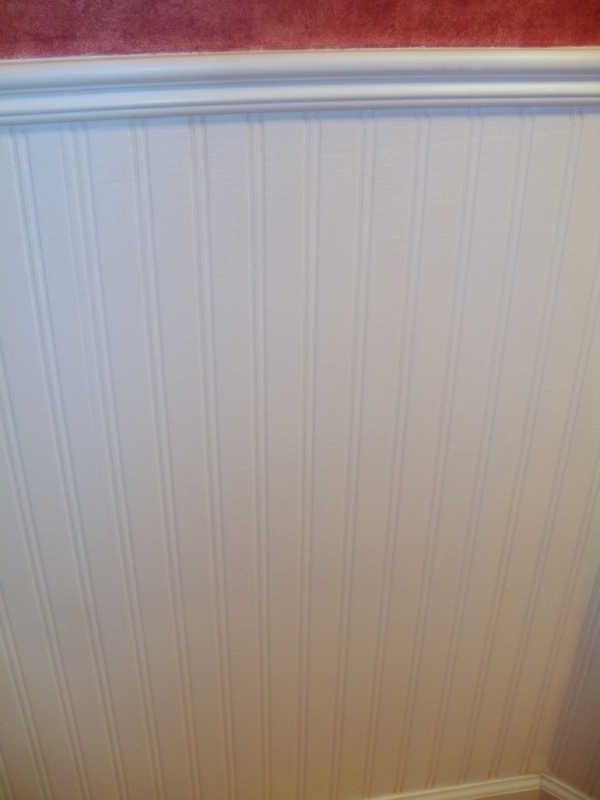 The beadboard wallpaper below the chair rail came off easily because I primed/sized the wall before the last redo. (That little step was based on experience. 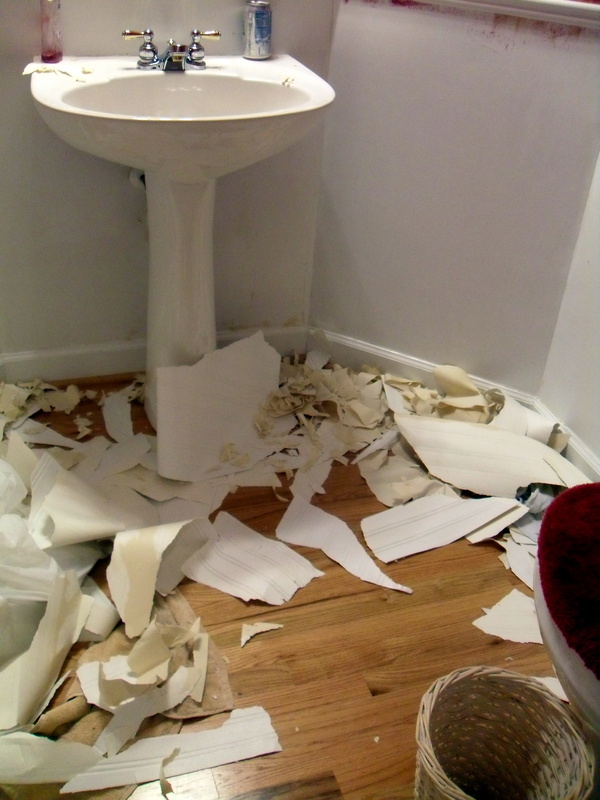 Wallpaper removal can be ugly!!) I bought the lattice at Lowes and cut it with my miter saw. (I love tools!) I received a nail gun with a compressor for my birthday not that long ago, but do you think this girl thought to use it? Nope. 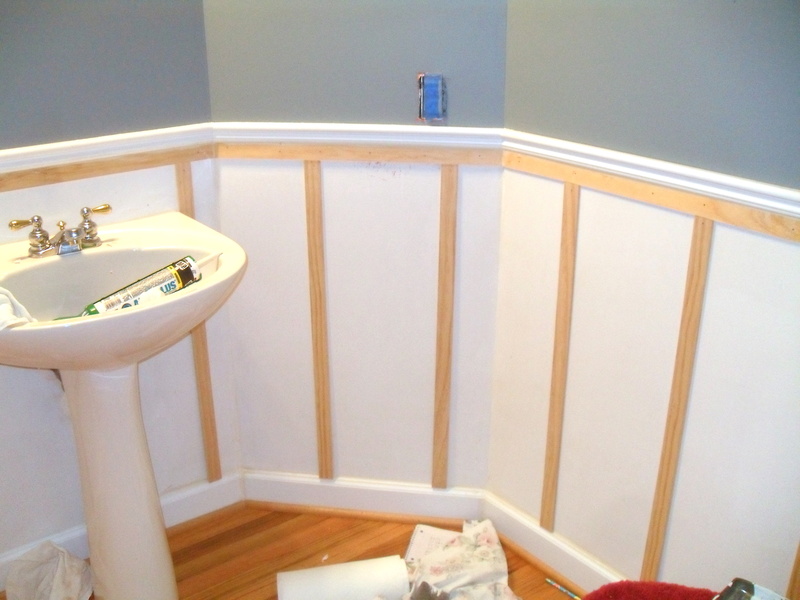 Instead, all the strips of lattice was nailed to the wall and counter sunk by manual labor of my poor little hands. I know… Duh! What were you thinking Laurie? Taking down the wallpaper was actually fun. Weird, I know. 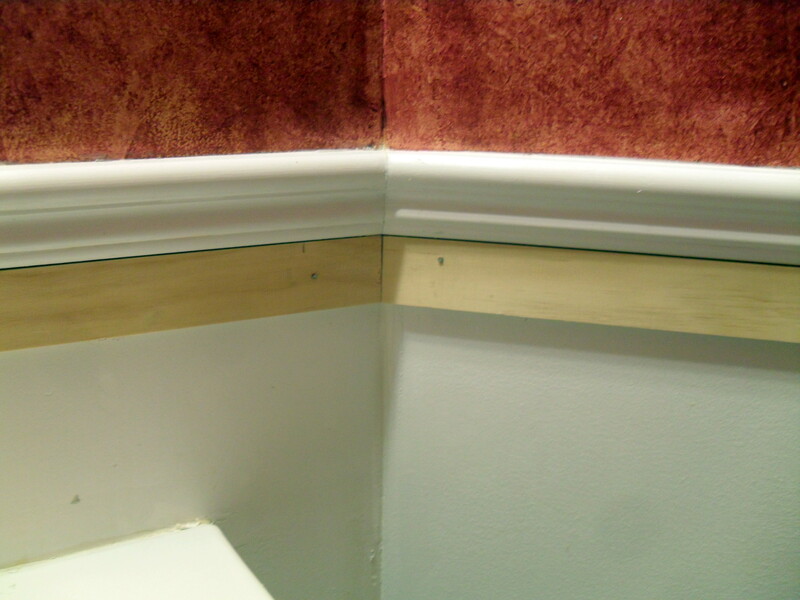 Trim work begins. 22 1/2 degree cut with the miter saw. Painted the top first because I was excited about the blue color. Patience isn’t always my strong point. The lattice was leveled and nailed to the wall. I also used a little bit of glue on the lattice that didn’t hit a stud. I am very happy with the results! This shelf was only $19.99 at HomeGoods! Oh, one more thing. 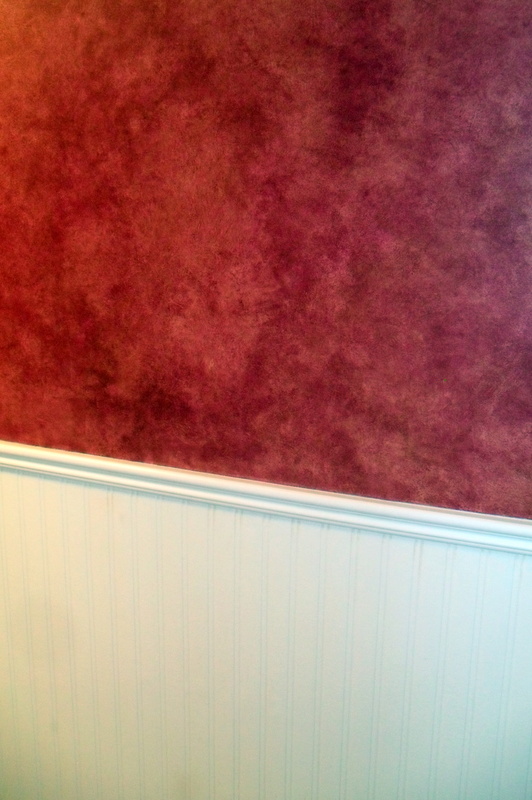 I painted the ceiling the same satin white as the lower wall. It had the original off white yucky builder paint on it. Based on the picture below, you can see how well that went. 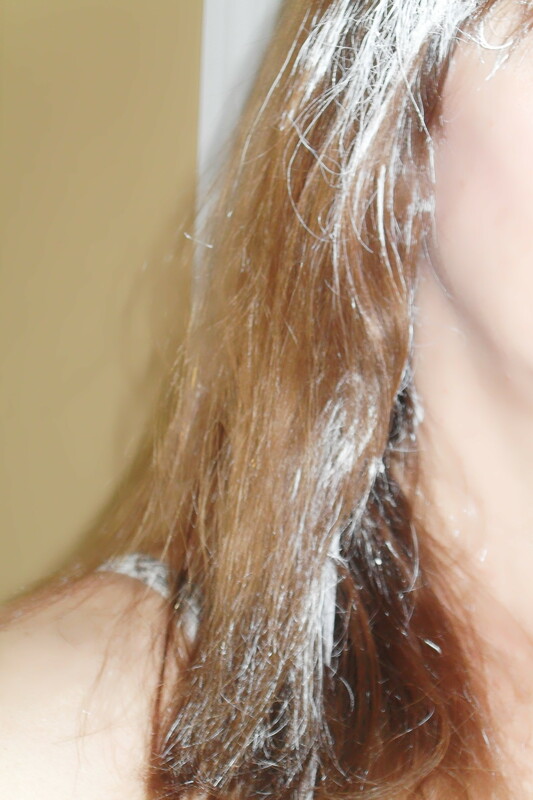 Lessons learned: (1) Before you raise a roller brush above your head, make sure it’s not over loaded with paint. (2) Might be a good idea to wear a hat. (3) Wash the paint out IMMEDIATELY! Posted in DIY (you can do it!) 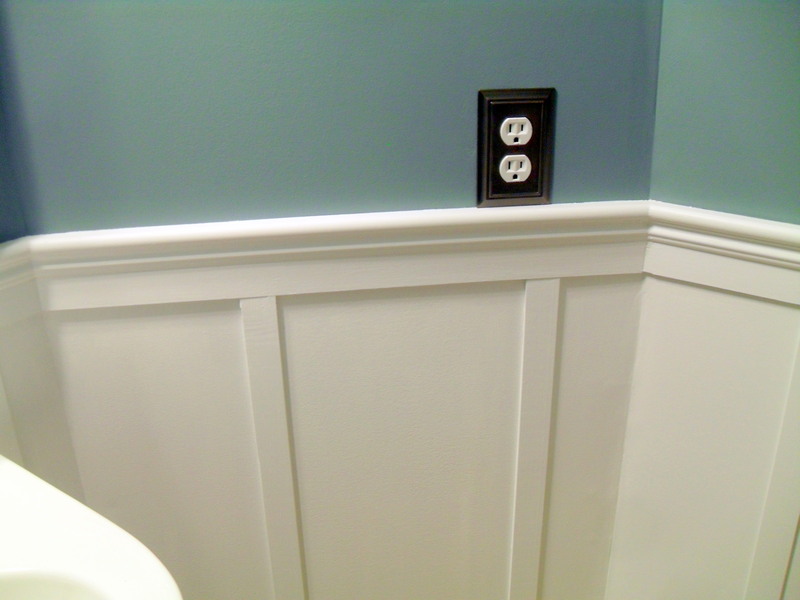 and tagged Bathroom, board and batten, chair rail, DIY, HomeGoods, Lattice, Moulding, paint, Powder Room, Wallpaper. Bookmark the permalink. UPDATE: “Happy in a Can” is completed! 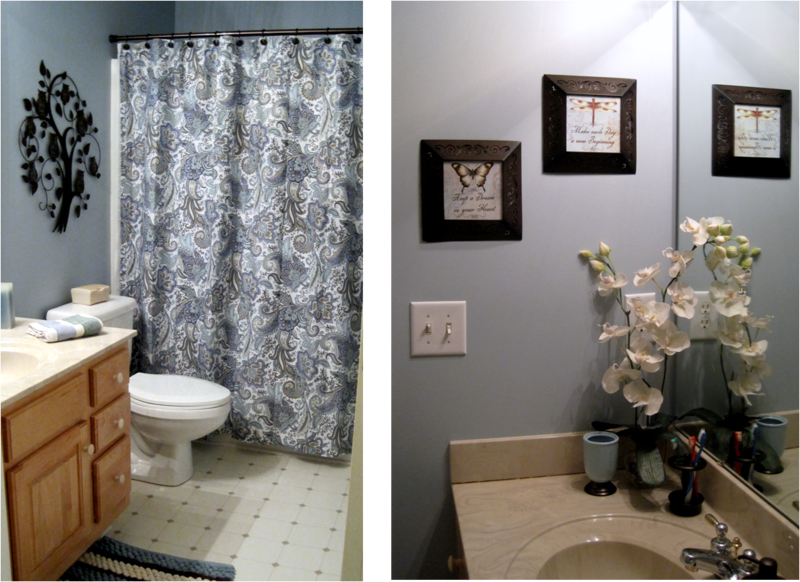 AFTER – Bathroom redo completed. It’s amazing what one gallon of paint can do. It’s like HAPPY in a can. And the perfect color of paint is like ON CLOUD NINE in a can! No kidding! I get teased a lot for always “painting something” in my house. But the end result of just a couple of hours of work is amazing. My BFF and I have been friends for almost 2 decades. She has humored me through all my house changes and even participated in many rearrangements of furniture, accessories and has picked out paint colors with me. And she’s great at it. She is a designer after all. But in her own house, she hasn’t changed much in a very very long time. I know! It’s shocking ! Ha! 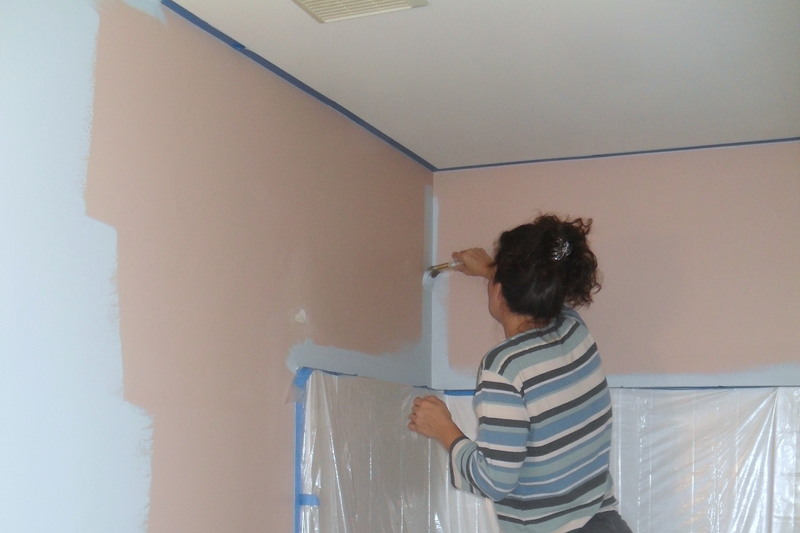 She has a very busy Hubby and she doesn’t tackle paint on her own. (Yet I still love her.) So today, with one gallon of paint, we painted her kids bathroom and the laundry room in a day. Less than a day. Less than a school day actually! And she even had a paint brush in her hand. And used it! (That information is for her unbelieving hubby.) We bought a shower curtain, shower rod and hooks, toothbrush holder (at HomeGoods), and paint at Home Depot all for under $100.00! 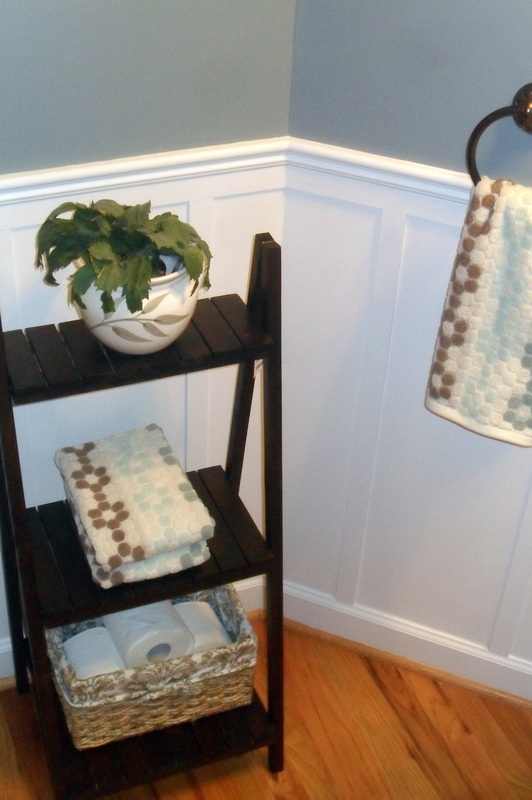 Her bathroom and laundry rooms are totally transformed. And while a gallon of paint can’t solve the problems of the world, it can, for very little money, change the mood and spirit of a girl and a room (or two). AND it was fun! I haven’t mastered taking good pictures yet! 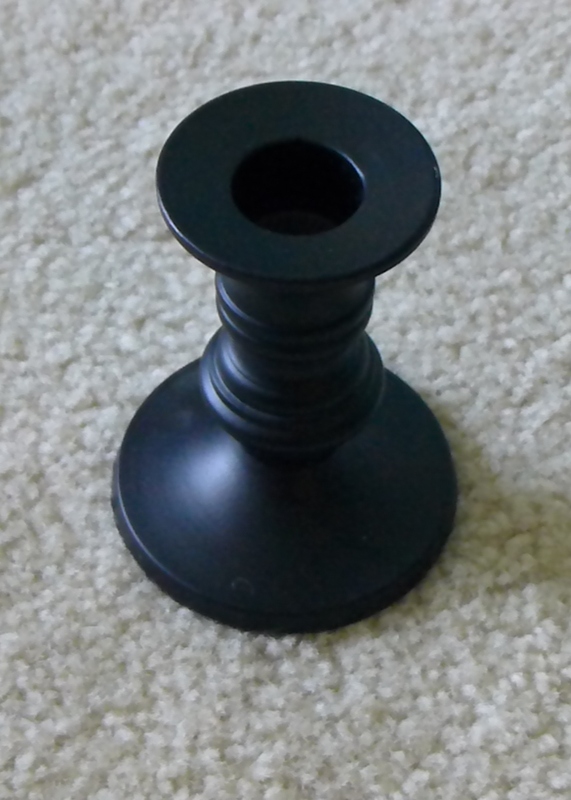 This is the color we used. It doesn’t show up in my pictures as stunning as it really is. BFF painting. I’m so proud! The old color was a light salmon in the bathroom. Posted in DIY (you can do it!) and tagged Bathroom, Color, DIY, Home Depot, HomeGoods, paint. Bookmark the permalink. Posted in DIY (you can do it!) 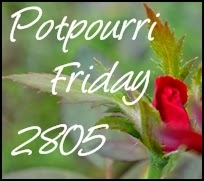 and tagged Bathroom, Benjamin Moore, DIY, Home Depot, HomeGoods, Laundry room, paint. Bookmark the permalink. 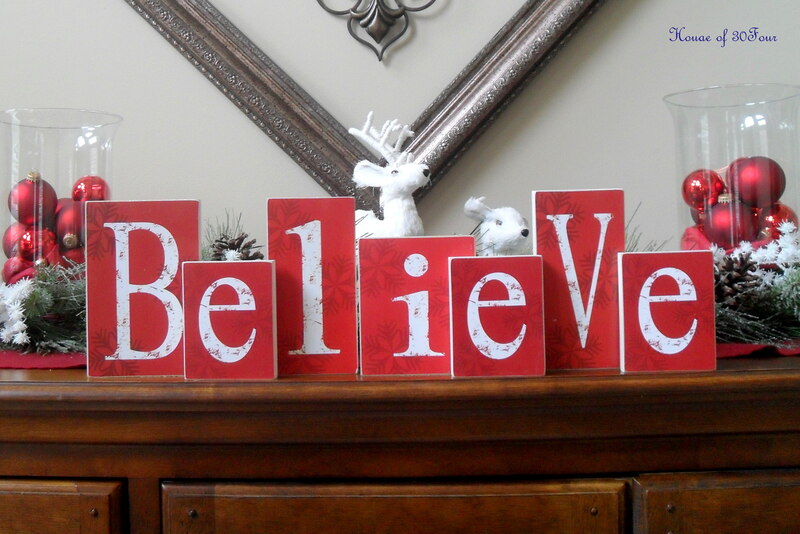 I have started a little Christmas decorating, mostly with the things that are handmade. Some I had for years, others I made just recently. All are easy to do! 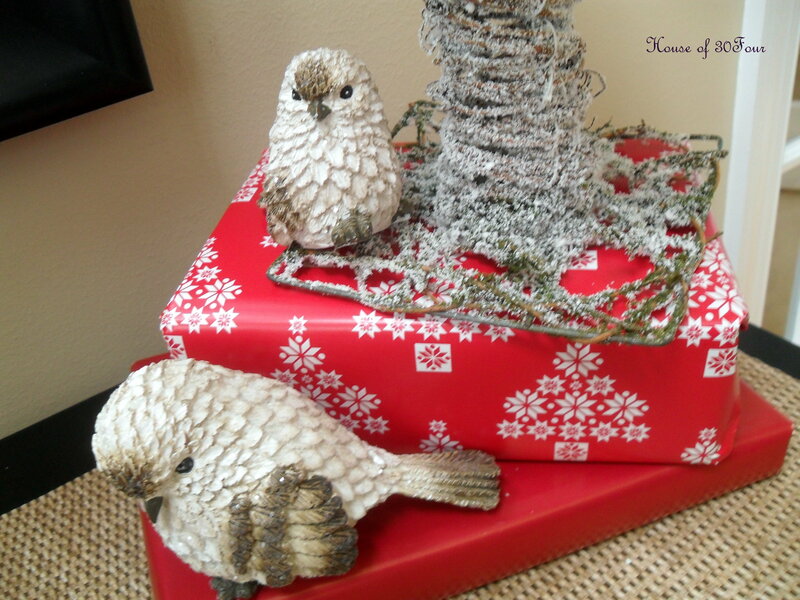 These little birds I picked up at the Southern Christmas Show last week. They are sitting of books that I wrapped in holiday paper. 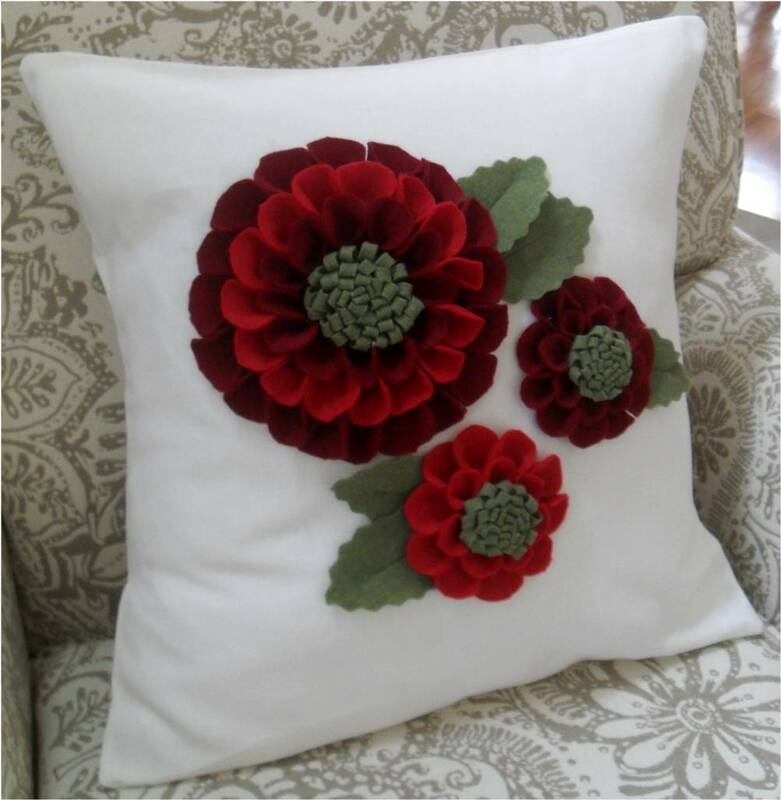 This pillow was fun to make. I’m addicted to making flowers! Pinterest gave me this idea. 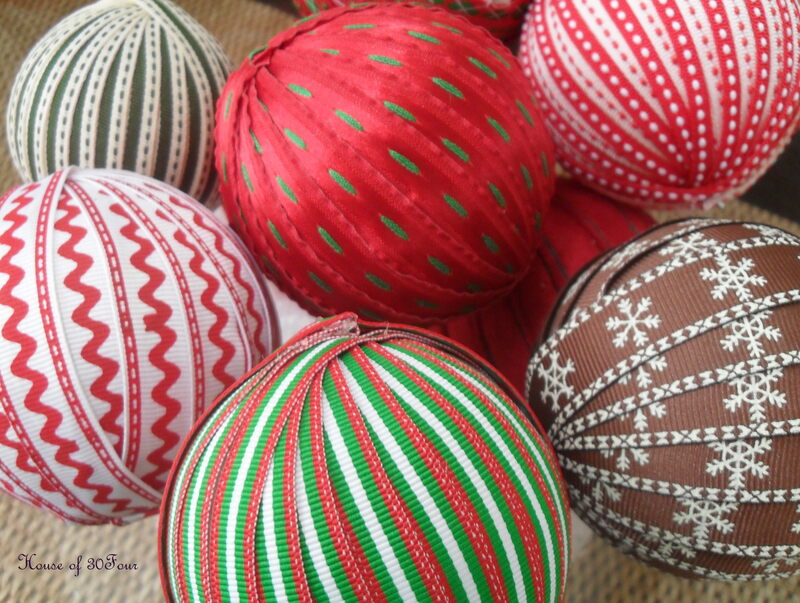 Styrofoam balls wrapped in ribbon. 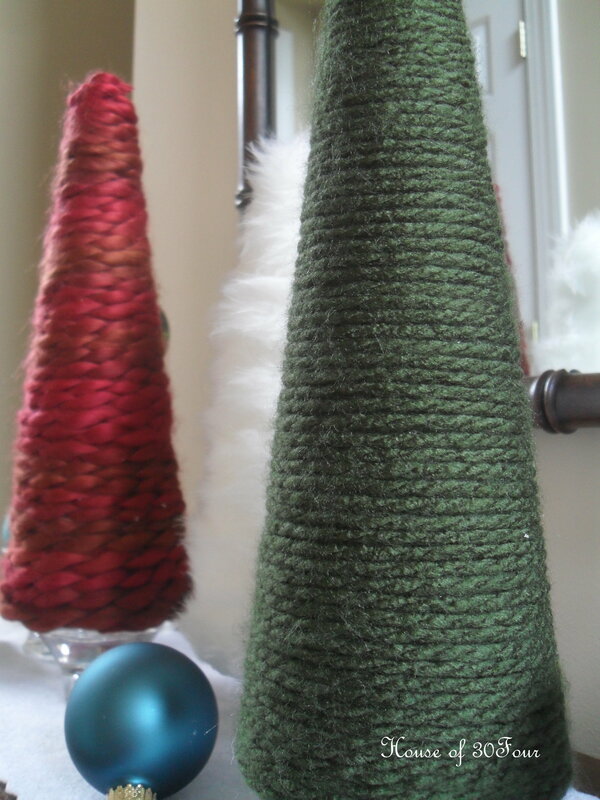 Styrofoam trees wrapped in yarn (red and green) and faux fur trim (white). 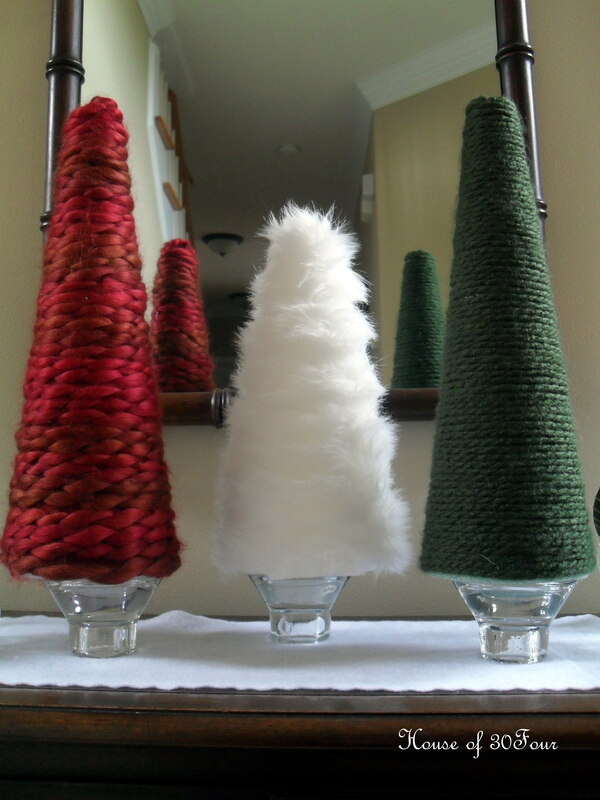 Posted in DIY Decor, FYI (ideas & info) and tagged Christmas, Christmas decoration, Christmas tree, DIY, DIY projects, Do it yourself, Holiday, holiday decor, holiday decorating, Holidays, HomeGoods, Interior design, Pillow, Pinterest, Ribbon, Styrofoam, Yarn. Bookmark the permalink.